Truly the Lord is opening up the doors for greater unity between Jew and Christian more than ever before. God is raising up a prophetic righteous remnant, that are called the Church back to their Jewish roots, back to become a prophetic call to the Nation of Israel and to provoke the Jewish people to jealousy. And to say to the church you have Messianic Jewish brethren and roots to connect with. We are so grateful for you and believe whole heartedly that God has joined us together to fulfill His purposes for Israel and be a voice to the Church. God is the one who is hand-picking the Pray4Zion team and we value you as partner and a gift from God. We don’t believe any people group have been more mistreated; more wrongly treated than the Jewish people in history by Christians mostly - not entirely but mostly. Who can show them greater mercy than us Christians? Who can show greater compassion, than us Christians? Who has been entrusted the Ministry of reconciliation? We the Church are able to show the greatest love in the very place where Israel has been wounded. We are the generation and we have an assignment! Cornelius was divinely selected by God, to receive the gospel of salvation and the first to receive the Holy Spirit, because he was a righteous Gentile who expressed his unconditional love for the Jewish people. Cornelius gave alms to the Jews living around him in Caesarea (Acts 10:31) – the point was made three times in the same chapter. Cornelius provoked the blessing of God on his household, fulfilling the covenant made with Abraham;"I will bless those who bless you…"
When Agabus prophesied that a famine was coming upon the whole earth, the way that they responded to that was that they didn’t hoard, they took up an offering! And we believe that they took up an offering for a very specific people group because that is important. Those that bless Israel will be blessed! Amazing way to respond, especially when the Prophesy specifically stated ‘that the famine will come upon the whole earth’ – they took up an offering for the brethren in Judea. They knew something that we are only just learning about. They didn’t hesitate or say we will pray about it. They acted immediately (even though the famine had not yet arrived) because they knew that this was a responsibility. We see in the book of Acts that the Jewish believers were required to be different. And we the Church of Jesus Christ are required to be unique and different. 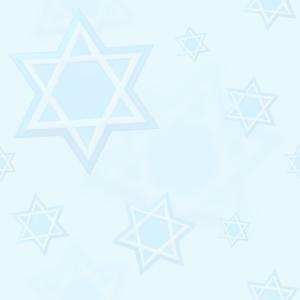 Let us never forget our Jewish Brethren and our roots and in doing so we will never loose our identity. They took care of the needs of the Jewish believers through Barnabus and Saul personally delivering the collection. They put their faith into action! v We receive the unsearchable riches of the Gospel of Jesus Christ. v We receive the riches of the blessings of Abraham which know no measure and have no limit. v We receive the riches of faith by which the treasures of heaven are made possible to each of us. v We receive the riches of repentance through which each of us becomes a child of God. v We receive the riches of His love, joy and eternal peace in the Holy Spirit. v We receive the riches of salvation by grace through faith. v We receive the riches of adoption and the riches of being heirs and joint heirs with Jesus Christ. v We have received the Word of God from the Jewish people. v We have received the patriarchs and the prophets. v We received a monotheistic theology; that is, One God – the God of Abraham, Isaac and Jacob. Some other quick facts about Jewish contributions living testimony of God’s promise to Abraham: "In thee shall all the nations of the earth be blessed." ü The cell phone was developed in Israel. ü Most of the Windows NT operating system was developed in Israel. ü The Pentium MMX chip technology was designed in Israel. ü Voice mail technology was developed in Israel. ü The first PC anti-virus software was developed in Israel in 1979. Our indebtedness to the Jewish people is but one reason we must support the State of Israel. BUT the most important reason of all is the fact that honoring Israel brings the blessing of God. When we want to receive mercy, we need to learn to sow mercy every opportunity that we get. Ever wonder why the Lord sent Peter to the Jews and Paul to the Gentiles? And doesn’t it look like He got that mixed up? Messed up a little? Paul could identify with the Jews a lot better than Peter could. Peter was on the offence to the ones he was sent to. We sincerely believe that one of the reasons was that we want to minister to those we feel comfortable with; who are like us so that we don’t have to get out of our comfort zones. God wants us to be totally dependant upon Him! 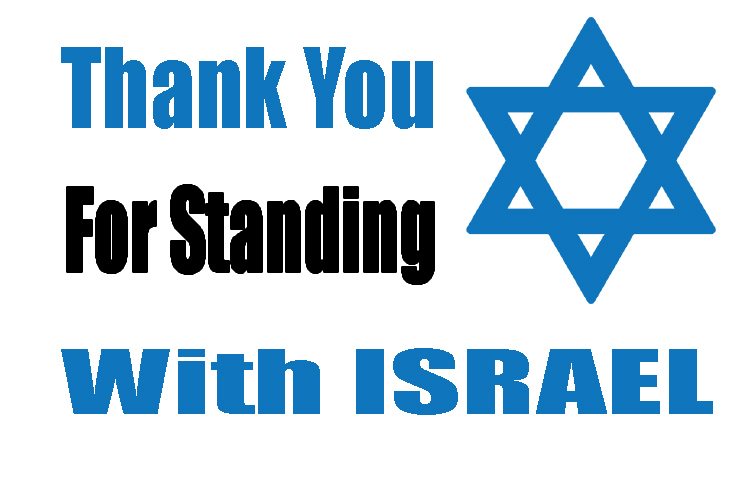 Thank you for standing with Israel in her time of need. It may not be famine there in the natural but certainly is so in the Spiritual. Together we can make the difference and truly believe that God rewards faithfulness. If you have enjoyed this teaching, please feel free to share it. We would love to hear from you.